Q: Sales Tax. Do you charge sales tax? A: We only charge sales tax for customers in California. Sales Tax will only be charged for all orders from the State of California. Q: Return Policy. What's your return policy? A: If for any reason you decide to return or exchange for your purchase, you may do so within 30 days from the date of shipment. Please contact us to make arrangements for proper return instructions. The item must be returned in its original condition, unworn, and unaltered in any way with original packaging. We are not responsible for item loss or damaged while shipping. A refund or exchange will be given within 5 business days. All shipping, handling and insurance charges are not refundable. Q: Shipping Cost. How's the shipping charged or calculated? A: We recently lowered our shipping charge for all orders. The shipping will be $2.50 for all domestic shipments via USPS First Class Mail for the first purchased item and $0.50 for each additional item purchased. For example, if you order total of 3 item, the total shipping charge will be $3.50 ($2.50 for the first item, $0.50 for the second item, and $0.50 for the 3rd item) via USPS First Class Mail. For international orders, the shipping for the first item will be $6.50 via USPS First Class International and $0.50 for each additional item. Q: Shipping & Handling. How long does an order take to process, shipped out, and delivered? A: We believe in providing and delivering a wide range of products in the most efficient and effective manner. We offer a variety of shipping and delivery options with competitive rates and delivery time. For shipping within United States, most of the orders are shipped within 2 days of placing the order unless the item is backordered. Please note that we do not ship on Saturday and Sundays. • USPS First Class Mail • Arrives within 5-7 business days is the delivery time period. • USPS Priority Mail • Arrives within 3-4 business days is the delivery time period. • USPS First Class International Mail • Varies..
Orders to FPO, APO and P.O.Boxes are shipped only via USPS. Orders to Hawaii, Alaska and Puerto Rico are shipped via USPS First Class. Please email us at customerservice@accessoriesforever.com for Express, Next Day, 2nd Day shipping opts. Q: International Shipping. Do you ship worldwide? A: We ship out international orders via USPS First Class International Mail Service. Please see our Shipping Charge Table for all of our shipping charges. Q: Order Tracking. How do I track my order? Q: Back Orders. What happen if the item is out of stock or back ordered? A: Our website is updated everyday with the latest inventory status. However, in the very unlikely event that an item goes back ordered, we will let you know through email or phone within 5 days of the purchase. Q: Payment Methods. What types of payment methods do you accept? A: We accept all major credit cards such as Visa, Master Card, Discover, and American Express. 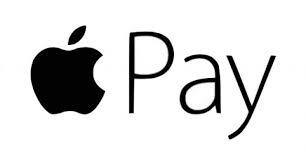 We also accept payments via Amazon Pay, Apple Pay, Check, and Money Order. Make your purchase at Accessoriesforever.com with confidence! Shopping at our site is secure, safe, and encryped with the most trusted and secured for 256-bit encryption SSL.